Inefficient energy usage can go undetected for a long time. Only when you have precise knowledge of energy flows at your fingertips, and you’ve identified all the major consumers and decided whether they need to be optimised or replaced, can you increase energy efficiency in a sustainable way. On the web portal or in the smart-me app, you can generate various diagrams. 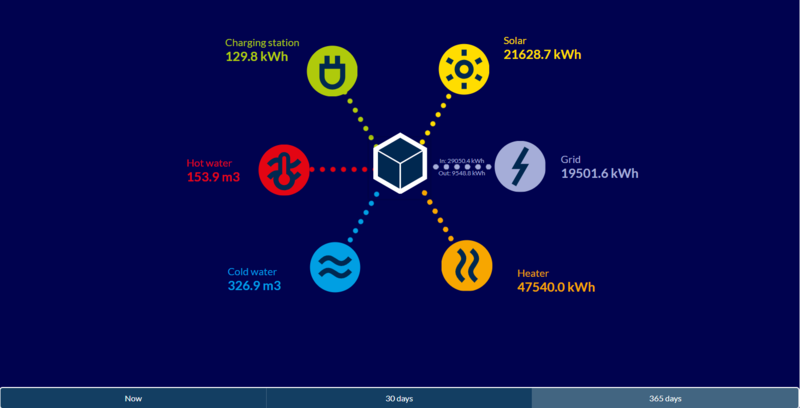 They include load profiles, previous week comparison and visualisation of under-consumption – all of which provide you with a fascinating insight into energy data. View energy flows over the course of time and use the zoom function to get to the heart of the matter. 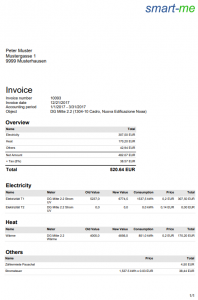 Automatically generated invoice for prosumer. Do you know how much electricity, gas and water you consume in a year? On the smart-me platform, you can not only follow live consumption of all energy types, you can also view historic data. 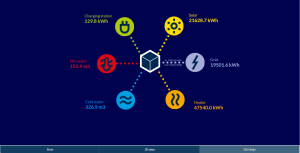 While the smart-me M-Bus Gateway communicates metering points for electricity, gas, water, heat, compressed air and much more, smart-me energy metering devices deliver precise electricity data directly into the smart-me cloud. There, you have various visualisation tools at your fingertips for your choice of reporting period. Do you know how much you spend on energy each year? Electricity, water, gas, heat, perhaps your own solar power produced in-house – it’s hard to keep on top of it all. Virtual tariffs allow you to model the value of the energy that you produce yourself. When combined with the merging of private energy consumption that was recently introduced, this creates transparency for all participants. Are you motivating other building users, such as co-workers, co-owners or tenants, to adopt energy-saving habits? smart-me energy monitoring is a multiple-user system. This means that a number of different users can use the system at once. Naturally, you can assign different access rights to these users as you see fit. What’s more, you can generate comparisons between similar units. Are you familiar with all the options for energy saving (e.g. night-time reduction, water-saving techniques, waste heat utilisation)? 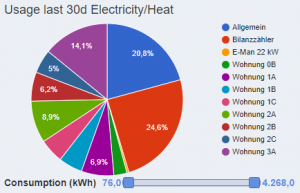 Meaningful energy management is built on energy monitoring. The data it generates is the starting point for greater energy efficiency. That’s why we make sure that the smart-me energy management system is so simple it requires no prior programming knowledge whatsoever. Nonetheless, you can also join the many users who benefit from specialist energy optimisation services (project partners). Every property benefits from energy monitoring as it forms the basis of any type of energy management. Reduced energy consumption significantly lowers energy costs, reduces CO2 emissions and makes an active contribution to climate protection. 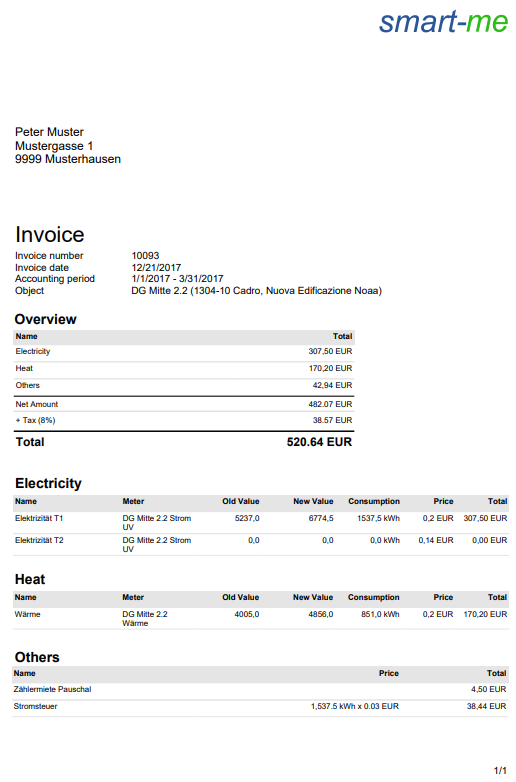 smart-me supplies your relevant energy data simply and cheaply. It forms the foundation for the smart-me energy management system, an ideal complement that encompasses a range of control functions. And all with the goal of saving energy costs.